While I love romping around Allston or Coolidge Corner as much as the next BU student, after the third night weekend in a row spent on Harvard Ave., I get a creeping feeling that I’ve seen it all before. And that’s when I head over to Jamaica Plain. 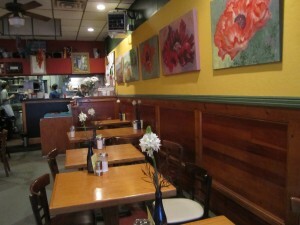 Perhaps better known for attractions like the Samuel Adams Brewery and Forest Hills Cemetery, I love JP for its local-centric, DIY culture packed with kitschy shops, organic lunch and dinner spots and gorgeous green spaces. The 4.4 square mile neighborhood, sandwiched by Brookline, Roxbury and Dorchester, has one of the most distinctive feels of Boston’s many neighborhoods. 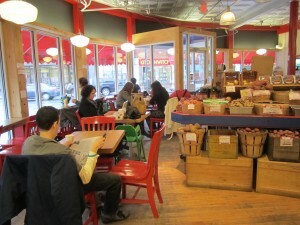 Where else could you find a fair trade and organic deli and feed store? 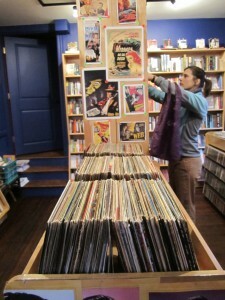 Or a tapas bar, record and book store all under one roof? Just JP. 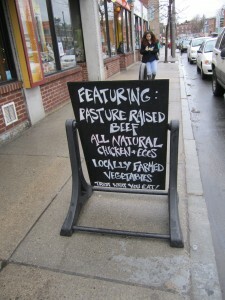 Longtime Jamaica Plain residents and business owners have been in the know about the virtues of locally sourced food for many years now, so delectable, healthy fare is the standard at many restaurants lining Centre Street. Also a haven for artists, Jamaica Plain is home to exceptional art galleries, music venues and funky little shops filled with things you didn’t know you needed. Don’t hesitate to head over at night either – Scottish pub, The Haven, old school Doyle’s Café and the Bella Luna Milky Way Lounge are all worth the trip to JP. Getting there is easy enough though, with a short ride on the Green line and a transfer to the Orange. Then you can get off at Stonybrook, Jackson Square, Green Street or Forest Hills and be in the center of it all. On a recent rainy Friday afternoon, I walked down Centre Street and snapped some photos of what I found. 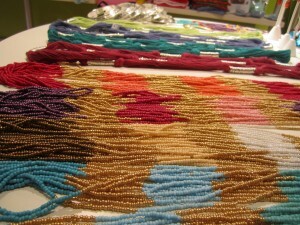 Look through them for a peek of what Jamaica Plain has to offer and then get over there before you graduate. 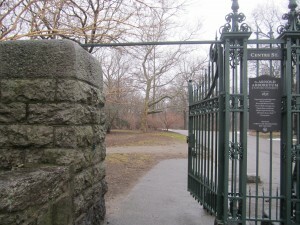 The Arnold Arboretum, founded by Harvard University, is the oldest arboretum in North America. Not just a pretty park, the arboretum is grounds for research on evolution, plant pathology and other treesearch (pun shamefully intended). Admire beautiful views of the Boston city skyline from Peters Hill or go for a cycle along the many paths for a perfect spring afternoon. 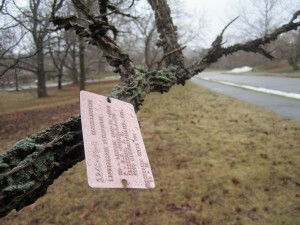 Every one of the 14,980 individual plants in the Arnold Arboretum living collection is tagged with its species name and other information, making for an educational park experience. 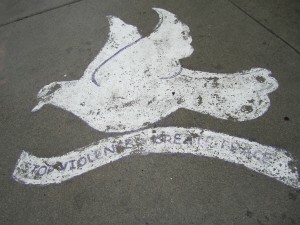 The dove and words are the result of a 2008 Paint for Peace program started by Robert Guillemin, a.k.a. Sidewalk Sam. He wanted to paint up to 600 doves on sidewalks around Boston and enlisted youth from the Hyde Park Task Force to help paint the doves in front of bodegas and stores around Jamaica Plain. 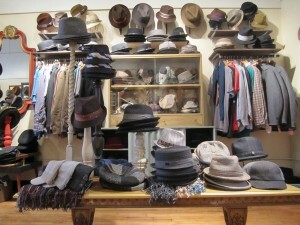 The bountiful selection of hats and other suave goods at Salmagundi, hats and accessories. 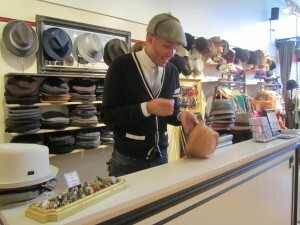 With more than 6,000 caps, fedoras, beanies and more Salmagundi has a hat for everyone. “People will come in and say ‘I’m not a hat person,’ but I think everyone is a hat person, you just haven’t found the right hat,'” says assistant manager Amanda McKeever. Hatter Jason Wednesday Miller sews a lapel on to a hat. The hatters at Salmagundi will custom fit a hat to your head for free and with hat prices ranging from $35-40 for a cap to $50-300 for a fedora, picking up one of these is not a mad idea. 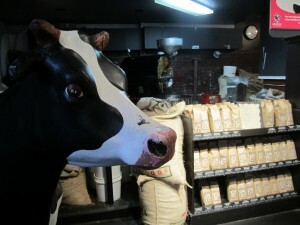 Part grocery store, part café and deli, but all organic and delicious, the City Feed and Supply has been leading the way in local, organic and fair-trade food for more than 10 years. 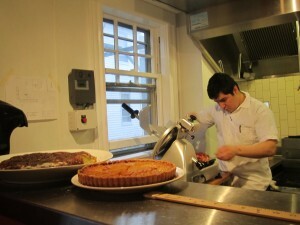 A Centre Street institution, the brunch, lunch and dinner spot sources all of its food from local farms. The slacker’s breakfast, served until 3 p.m., is a crowd favorite, probably due to its hefty portions soaked in real maple syrup. A rare moment of peace in Centre Street Café, usually packed to the brim and with lines out the door for weekend brunch. 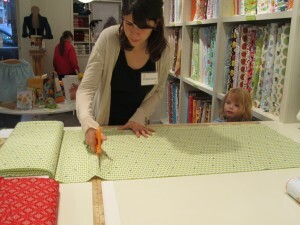 Adorable is the word that comes to mind for the many accessories and gifts in this boutique, which opened about five years ago. You’ll be looking for any excuse to pick up one of these knick knacks, which includes jewelry, scarves, note cards and much, much more. J.P. Licks flagship store on Centre Street is a converted Victorian fire house where they make all the ice cream for their other stores, as well as roast their own coffee. With flavors like Leprechaun Brew and Baileys Chocolate Chip Cheesecake, it’s no wonder they’ve booming with business since 1981. A tapas bar, book and record store, Tres Gatos celebrates the finest things in life. Since opening in early January, the restaurant/store has been packed with people eager to try out the tapas and browse the impressive record collection. A customer picks out a book from the shop in Tres Gatos, located just behind the kitchen. Don’t be fooled by the CVS sign still on the exterior of JP Knit and Stitch – the inside packs a colorful punch and is filled with yarn, fabric and crafty inspiration.